Laptops run on Windows 10 out-of-the-box. Powered by an Intel Atom Z3735F processor, paired with 2GB of DDR3 RAM. 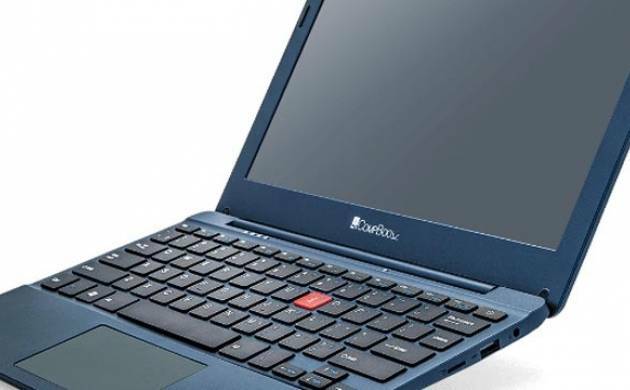 CompBooks have a VGA (0.3-megapixel) webcam and 32GB of internal storage which is further expandable via microSD card slot. iBall just launched their latest CompBook laptops CompBook Excelance and CompBook Exemplaire in India. CompBook Excelance is priced at Rs. 9,999, while CompBook Exemplaire is priced at Rs. 13,999. Why Excelance is priced lower is due to its display which is 11.6-inch HD (1366x768 pixels) while Exemplaire has a larger 14-inch HD (1366x768 pixels) display. These laptops possess a 10000mAh battery and the company claims that it can last up to 8.5 hours of usage. They come with basic connectivity options like WiFi, Bluetooth, HDMI and two USB ports. Also the laptop comes with an insurance pack which will cover any accidental damage, theft and breakage and an additional one year of warranty as well. Both these laptops come with one-year warranty.